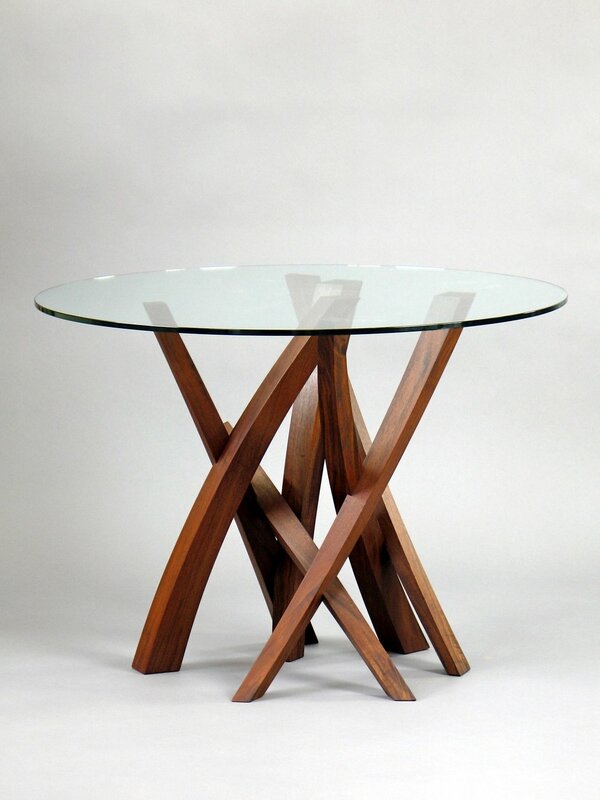 The Laguna series tables are some of my favorite and most challenging to build. Each base is unique as the process and resulting form is ultimately sculptural. The glass top is supported by a base made of walnut consisting of tapering arcs of varying size which intersect to form a dynamic structure. The series works well with almost any shaped top be it glass, stone or solid wood. 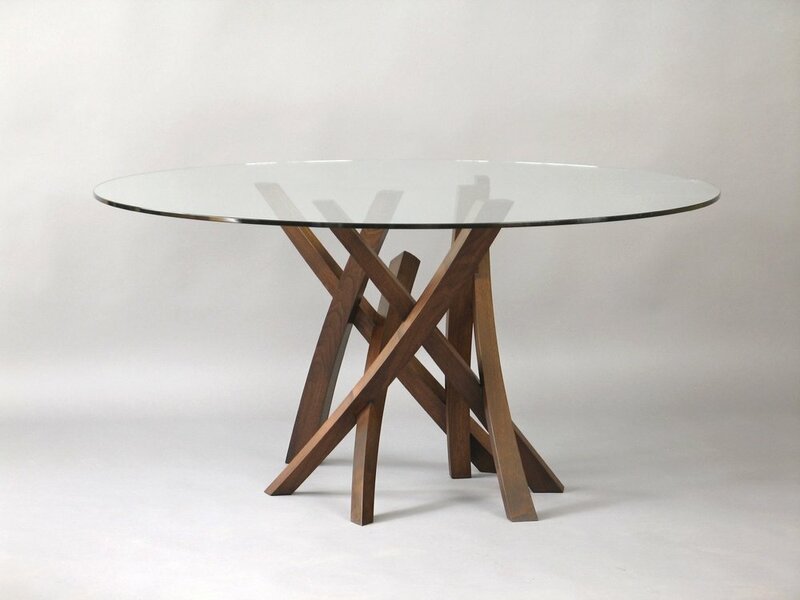 The Laguna series of dining tables makes the ultimate sculptural statement in a dining room setting. 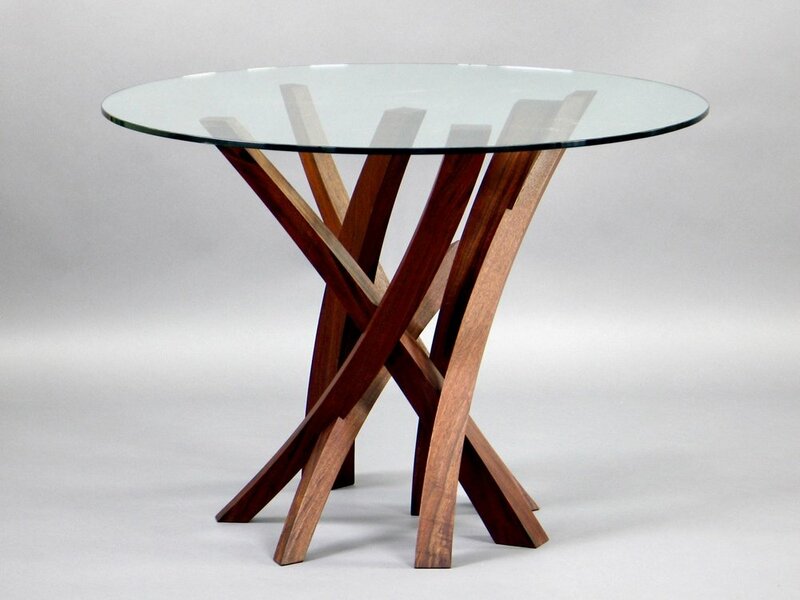 Each table base is unique comprising of a number of tapered arcs joined to create a structure with endless visual possibilities.